← Raheem Sterling to Become a Silkman? 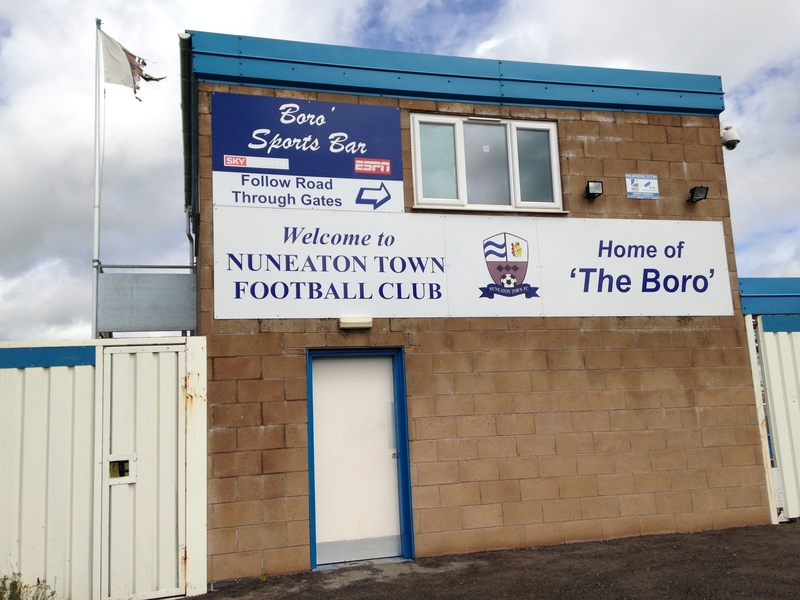 In another Under the League exclusive, Dave Burin heads to a windswept Liberty Way to chat with Nuneaton Town’s new boss, Kevin Wilson. Honest, warm and with a wonderful eye for detail, Kevin recollects his fascinating career on the field and in the dugout, which has taken him from Stamford Bridge to Bedford Town.Discussing everything from Derby County debuts to promotion with Chelsea, and from managing Kettering Town amidst the infamous ‘Gazza saga’ to developing talent at Ilkeston F.C., and much more, Kevin’s is a fascinating tale told by a wonderful narrator. DB: You grew up in Banbury in the 1960s and ’70s, and came through the youth setup at Banbury United. What are your memories of playing, and of watching football, in your early years? KW: [Living in] Banbury, Oxford United was quite close, and also Birmingham City. I always remember going to my first game – Birmingham City, and Bob Hatton and Trevor Francis played up front, and they beat Liverpool 2-1, at St. Andrews. I can always remember the goal that Trevor Francis scored to win it – a really good, left-footed shot right into the top corner from about 25 yards. It’s funny, that’s one of the things that really sticks in my memory. But football is a bug, isn’t it? You go anywhere to watch it! They’re my first memories of the game, going to Birmingham, and going to Oxford on certain other days. I played initially for a club called Ruscote Sports. They played a couple of levels down (from Banbury), but I played in their first team and also played in their under-16s and 17s at the time, and then Banbury United picked me up from there. I’d already played first-team football at Oxfordshire County Level, so, going to Banbury, it was quite a quick transition, really – played in the youth team, and within 8 months I was playing in the first team. I had the chance of playing with people at the time like [former Scotland international] Hugh Curran, he came as a player-manager. But the manager at Banbury who gave me my debut was Brian Stone. Players who I was friends with at the time there – Phil Lines [later Banbury United manager] and Wally Hastie who I’m still friends with now, were people who took me under their wing, and I’ve got a lot to thank people like that for when I look back on my career and see how well it’s shaped and developed. DB: You joined Derby County in 1979, and made 3 appearances in the ’79-’80 season. It was your first taste of football in the old First Division (present-day Premier League), but unfortunately the club were relegated. What are your memories of that first year at the Baseball Ground? KW: It was different, it was strange living away from home. I’d never been away from home, other than holidays. Training every day, doing something that you enjoy. It had been the first time I was full-time. Made my Central League debut away at Blackburn, where we lost 4-1 and I scored. Then I made my league debut at Liverpool. It’s a dream [playing at Anfield]. You talk this week about Steven Gerrard being able to play in front of those fans. [The Liverpool support] are fantastic fans. I came on as a sub, and it was something that just went very, very quickly. I was on for 20 minutes, but it was gone in a flash. DB: You really established yourself in the following 5 years at Derby, and during that time, shared a dressing room with some of the game’s real characters, like Charlie George, Roy McFarland and Archie Gemmill. It must have been a very entertaining dressing room to be in. Was there a real camaraderie at the club? KW: Yeah. I think that’s one of the things that you do get in a lot of clubs – a real camaraderie. Kenny Burns was there for a short time. What a character! I’ve shared a dressing room with Roy and Archie, they’re people that have done amazing things in the game. When I first went to Derby, there were also the likes of Bruce Rioch, David Webb, Roger Davis and Kevin Hector. Kevin is a player that helped me develop when he came back to Derby. You look back over your career, and remember people giving you little things to say ‘this is a job that you’ve got to work hard at’. Hopefully I’ve done that over the years, and given some people some enjoyment. As we know, footballers are passing ships in the night, because people move on so quickly and you don’t make many friends, but the friends that you do make are good friends. DB: You made the move to Ipswich Town in 1985. You had an impressive scoring rate in your two seasons there, but the team were going through a difficult period on the pitch. Did you enjoy your two seasons there, playing under Bobby Ferguson? KW: I think it was the time I learnt. They worked really hard on me on the training ground – [helping develop the skill of] holding up. One of my strengths in my early days was my pace in behind, but they worked really hard on my hold-up play, bringing people into the game, from there, it really helped me. I’ve got a lot of people at Ipswich to thank. When you’re talking about characters in the dressing room, I went into a dressing room that had the likes of George Burley, Paul Cooper, Eric Gates and Terry Butcher – a captain that led by example – so there were some real professionals. Charlie Woods and Peter Trevivian, who was the youth-team coach spent time with you, and they helped you develop. We had a gymnasium upstairs, it was the first one that had an artificial surface. We used to go there in the afternoons and sometimes it would be all about me holding it up, laying it off – a repetition, and football is repetition. It was a place that I felt as a person and as a player, I developed. DB: Whilst at Ipswich, you made your Northern Ireland debut, in a 1-1 away draw against Israel, in Tel Aviv. What do you remember about the match itself, and about the experience of travelling to somewhere vastly different, like Israel? KW: It was good. Billy Bingham was away with UEFA, so he actually didn’t take the game, [Northern Ireland goalkeeper] Jim Platt took the game. At the time, as well, Danny Wilson made his debut, and I think Lawrie Sanchez made his debut in the same game. When you get a call-up, it is fantastic. It’s another adventure really. I remember having a real good game, but missing a couple of chances. You’re most probably disappointed that you’ve not taken the chances, and on the day I felt we were the better side, but [making the international debut] was another step in the right direction, and maybe a step when it all started at Banbury United, I never thought would happen – it was just a dream, so it’s something that you look back on, and they’re real good memories. DB: You joined Chelsea in the summer of 1987, and you’re still regarded as a legend by Blues fans of that area. Why do you think that you and Chelsea were such a good fit? KW: I left Ipswich with a really heavy heart, because Bobby Ferguson didn’t have his contract renewed. So, it was leaving there, and thinking ‘I want to give myself an opportunity’. John Duncan came and took the job, and I’d played with John at Derby. But it was just too late, I’d made a decision to go, and it was a chance to play at a big London club, with a reputation. I always remember, I had a really good pre-season, and got about 8 or 9 goals and was really playing quite well and felt really sharp. But, at the time there were the likes of Gordon Durie and Kerry Dixon there, and I never started the season, which I was disappointed with. When I was coming on, I was actually getting a little bit of negativity from the fans. It didn’t really drop into place straight away, but I always remember scoring against West Ham, and I think it completely changed. After the first two months bedding in, Chelsea fans started to realise what I brought to them. I scored goals, I could lay goals on, but I made a living from working hard, and I think that’s what people have got to take out of it. If you can work hard and show people that you really care, I think they will stick through the good and the bad with you. DB: In the 1988-89 season, you were an integral part of Chelsea’s promotion from the Second Division, scoring 13 goals and being a real mainstay of a side who won the league at a canter. After having the misfortune of playing in a few relegated sides, was it extra sweet to be part of a promotion-winning squad? KW: Yeah. It’s always nice. I think I actually played in all the games, and when I look back on it, I played in all different positions. I even played right-back when Steve Clarke came off! So, when you get relegated, you take it personally. I know it’s a team game, but you always think ‘could you have done more’, ‘could you have scored more goals’ or ‘could you have worked harder’. When you win something, it’s a great feeling. I’m fortunate to have done it now as a manager and a player. It’s two different feelings – when you’re a manager, you can sit back and watch everybody and see the enjoyment on the faces, because you’re mostly the one at the front of the bus who’s driving it! When you’re a player, you’re part of the team, and you just want to celebrate and enjoy the occasion. DB: In 1992, you left the Bridge to join Notts County. You were signed by, and played under, Neil Warnock. He’s regarded as one of the game’s most outspoken characters. What was he like to play for? KW: I’ve got a lot of respect for Neil as a manager, because he’s one of the most successful managers with promotions, but he wasn’t really my cup of tea. I’ll be honest with you – I’d had managers before who most probably got the best out of me, but I didn’t really see eye-to-eye with Neil. I was a bit more experienced at the time, and it didn’t start off on the right footing. We played Crystal Palace at home. I scored the first, to go one-nil up, and then we went two up when (I think) Mark Draper scored the other one. I got the ball to go and put it on the spot. Mark Draper says ‘Oh, I take the penalties’. He took the penalty, missed it. Nigel Martyn kicked it down the other end of the field, and Bright scored at the other end. And we lost 3-2, in the end. And, [Warnock] blamed me because he said I was the experienced one on the field. That was my first game [for Notts County]. I have got a lot of respect for him, because I think he’s done really well, but when I look back and look at the likes of John Hollins, Bobby Ferguson, Arthur Cox and Billy Bingham, there was better man managers out there [than Warnock]. He’s done great jobs, but he didn’t tick the box for me. DB: After two seasons with Notts County, you joined Walsall. Again, you were involved in a promotion-winning side, as the Saddlers pipped Chesterfield to automatic promotion from the Third Division in 1994-95, winning 8 of the last 11 games. What do you remember about that season? KW: Going into Walsall, it was going into a different venture really, because I went in as player-coach. Kenny Hibbitt was the manager when I first went in there, and he was relieved of his duties; as us managers are when things don’t go well. Chris Nicholl came in as manager, I was first-team coach. The day Chris came through the door, there was a real winning ethos. I think everywhere he’d been, he got promoted in his first season. He sat down with me and talked about the way he wanted to play, and explained to me that I was a very important part of it. We played a counter-attacking style [under Nicholl]. We had to play Bury on Thursday evening that same week, because it was rearranged. We drew 0-0. It must’ve been James Walker in goal that night, and he made an absolute fantastic save in about the 92nd minute, flying into the top corner, and he’s got his hand there. Real big celebrations on the night! As a player-coach, you still celebrate the same way as a player. I played 135 consecutive games for Walsall, including that season, at 34-35 [years old]. DB: You took over the reins at Sixfields in 1999, becoming Northampton Town’s player manager. It was a successful season, as you led the club up to Division Two. How did you find the dynamic of being a manager to players who had formerly been teammates? I initially went there as an assistant manager to Ian Atkins. We played at Ipswich together. In 1997-98, we got to the play-off final and lost to Grimsby 1-0. We didn’t get the best of starts the following year, and we got relegated. Then Ian went about 12 games into the next season and I took the reins over, in October . [As Manager] I just treated people how I wanted to be treated as a player. I wanted to be honest, and I wanted to be straightforward. The style and way we played was a little bit different, because I wanted them more to get down and play, and play through the thirds. I had the likes of Steve Howard, Jamie Forrester etc., and John Frain who scored the goal at Wembley when Cobblers got promoted. I had some very good players there. They played with a freedom, and it went forward from there. We got promoted at Torquay, on the last game of the season. In all the games I’ve played [and managed], I can always remember the things when it went our way. We played Mansfield at home, and Chris Greenacre missed a chance yards from goal, right in the last minute [the game finished 0-0]. It’s the inches. Torquay was the most relaxed I’ve felt, even during the game. I just felt confidence in the players, and that they were capable of doing the job. We went 2-0 up. It was a long journey back, but it was a really enjoyable journey. [As Manager] you’re the one that can sit back and watch everybody – the fans, the players celebrating, and it’s great to be able to watch. DB: You were sacked by Northampton in November 2001, despite having brought the club up to Division Two and ensured they avoided relegation in their first season in the third tier. Were you shocked by the decision? And what reasons did the Chairman give for relieving you of your duties? KW: Not really shocked, no. I don’t think anything shocks you in football nowadays. They felt that the run of form wasn’t good enough. They gave me a vote of confidence. We beat Port Vale away 1-0, but sometimes people have to make decisions and you have to accept that. Unfortunately I got relieved of my duties at Ilkeston this year, not having my contract renewed. After producing 30 players, and selling nine or ten players during that period, I think you feel a bit hard done by. But, you have to accept things in football and sometimes when things don’t go your way or results are they way they are, you have to accept that. That’s the business you’re in. DB: Do you still look back on your time at Northampton fondly then? KW: Yeah. It was a first step into management on my own, and I look back on the people that played there with me. Chris Carruthers, we gave him the opportunity to play with England u-21’s at the time, and he was our first young player that came through. And Steve Howard went on to have £1m+ moves, to Derby and Leicester. We had players like Dave Savage, who played for the Republic of Ireland, a player we most probably shouldn’t have released, but financially we couldn’t afford it. These things happen, and you look back and think ‘you make decisions, and you have to stick with them’. DB: Between 2002 and 2008, you managed several Non-League sides including Bedford Town, Aylesbury United and Kettering Town (twice). In what ways did you feel Non-League had changed on and off the pitch since your days as a youth player at Banbury United? KW: When you read the teams there, most probably those teams didn’t match my ambition. At the end of the day, it isn’t about finances. Everybody thinks it’s all about finances – certainly as a player, you want to get the best deal for yourself. I think [ambition] is where a lot of Non-League clubs fall down now – they don’t have a long-term vision. You have to have a short, medium and a long-term vision. Sometimes you have to be patient, and one of the things I found when going into those clubs – they didn’t have that. They weren’t looking to go ahead or change their philosophy. When you have a new manager come in, the philosophy of the football club changes straight away, because he wants to do it the way he knows he’s done it in the past. I’ve been involved in the Gazza affair when Paul [Gascoigne] came in [as Kettering Town manager in 2005]. I have nothing against Paul, or Paul Davies. It was the decision that [Kettering Town Owner] Imraan Ladak made, and you have to accept it. I went back in [as manager], and I shouldn’t have gone back in. DB: What was it like being part of the Paul Gascoigne saga? Was it quite surreal? KW: It was. I’d played against Paul, but I didn’t really know him. He’s an England icon. It was a bit of a merry-go-round really. It might be a bit unfair to call it a ‘circus’, but it’s not easy sometimes when you come into a Non-League club, with the professional background you’ve been in. You want everything to be done properly. Also, to make sure the players get what they are promised, and that is something that the Kettering boys got in abundance when Paul was there. There were new boots, pizza after training and things like that. It’s brilliant if you can bring that to the party, but you need a proper vision. Unfortunately, I was the one who payed, who was the fall guy really. [During Wilson’s time at Kettering] the team had just gone seven undefeated, scoring 22 goals and conceding 1, and I always remember sitting there on the final saturday when we were beating Droylsden 1-0, and felt ‘I don’t really want to be sitting in the stand, or going watching games’, and I think that’s what they wanted me to do. DB: Surely that wasn’t the job you’d signed up for? KW: No, unfortunately. And going back [later in 2005] was a mistake, because the club had changed. These things happen and they come to test you, but we carry on. DB: You had six successful seasons at Ilkeston. One real highlight was the club winning promotion to the NPL Premier Division in 2012, after a 2-0 playoff triumph over Leek Town at New Manor Ground. What are your memories of that day? KW: Great day. We actually played Sheffield in the semi-final on the Monday. We won 7-0 and played some excellent football. We’d been to play Grantham on the last day [of the regular season], who had already won the title, so we could have finished second. I changed 9 players on that Saturday, and we conceded in the last minute to concede second place. I made the players stay and watch Grantham get presented with the trophy, made them see what it could be like if we actually went up ourselves. I felt – give Grantham respect because of what they’ve achieved, but also, give the players a ‘this could be us next week’. Leek had a real backlog of fixtures, because of their pitch. They ended up having a lot of games on Tuesdays, Thursdays, Saturdays. They played Carlton [in the play-off semi final] on the Wednesday, and Carlton were 2-0 up. I actually went there with the Chairman and some people from our club., and when they said ‘that’s it’, I said ‘well, I don’t think the game’s over’. Anyway, Leek got back in it, drew 2-2, went to extra-time and Leek won on penalties. Leek came to us, and within about 60 minutes, you could see they were dying and we went on to win 2-0. As a manager it’s always nice to win things, but the players played a great part, as did Darren Caskey who was my assistant at the time. It’s always nice, the promotions are a lot better than relegations! DB: Ilkeston obviously came very close to achieving promotion to the Conference North this season, and were only denied by a play-off final defeat to Curzon Ashton. What do you think made this Ilkeston side such strong challengers, and conversely, why do you think they couldn’t quite achieve that promotion? KW: Maybe losing the players that we did during the season. I do believe that we would have won promotion with the likes of Che Adams, Akil Wright, Ashley Hunter etc.. When you look back, you’ve had nine players that have left the football club to go onto bigger things. You can’t stop and keep them, that’s unfair. The players always surprised me. They kept going and they kept turning things round. The way we played, and we had a great spirit. Because they were young, they were all hungry. Sometimes a little bit naïve, but we had a great season – maybe better than I expected. DB: Were there any particular performances that stick with you, in terms of how good the side were? KW: We beat F.C. United 3-1 at home, and we drew 1-1 away there, and the referee gave a penalty [to United] for handball, which was about two feet away from his hand! We had some real good performances. The Workington display, where we won in the play-off semi final, maybe nobody expected us to get that. We came up short at Curzon. It wasn’t for the lack of trying. I felt that first-half we never really came to terms with the game and we failed to put our passing game onto them, but second half we really showed what we were about. It was a really strange day because when we lost, I didn’t know what emotions I did feel. I was disappointed and sorry that I was leaving Ilkeston, but my fate was already decided three months before. The players had given me everything they’d got, even knowing that I’d be leaving. That showed a real character. I always said it was going to be hard to get into the play-offs, and we had a bit of a stutter right at the end, but we got over the line. Well done to F.C. United who deserved to win it, and well done to Curzon Ashton. My philosophy at Ilkeston, as it will be at Nuneaton, is, if the opportunity comes for players to get sold and go on higher they they will – but we will also try to keep building and get ourselves in and around the play-offs, or trying to win automatic promotion. DB: You joined Nuneaton Town earlier this month. What are your first impressions of the club? And what are your aims and plans for the coming season at Liberty Way? KW: It’s a big club. It’s a club that hasn’t had any stability for a while, having four managers in 13 months. A lot of players coming and going. Now it’s the time to get the building blocks in place. We are getting an academy going, an u-21 side and we’re looking to build a big future. That means a lot of work to be done between now and the start of the season, and trying to get as high up the league as we can this year. DB: What do you enjoy doing outside of football, and was there ever an occupation you considered aside from being involved with the beautiful game? KW: I do enjoy a game of golf. But, with football, you don’t get much time. Spending time with the family, walking the dog, and at this time of year, getting away and having a break and trying to relax. DB: So was it always football? Did you always know what you wanted to do as a career? KW: I was a good sportsman. I liked cricket as well, and athletics, but football was always the one that I excelled at and worked hard at. I got the rewards by working hard, and I think to any young player, I’d say ‘hard work doesn’t cost anything’. Whatever job you are in, you have to work hard. Certainly for me, it’s – make sure you work hard, and don’t follow the money. The money will come and the rewards will come if you go and put everything into place. Follow Dave on Twitter here. 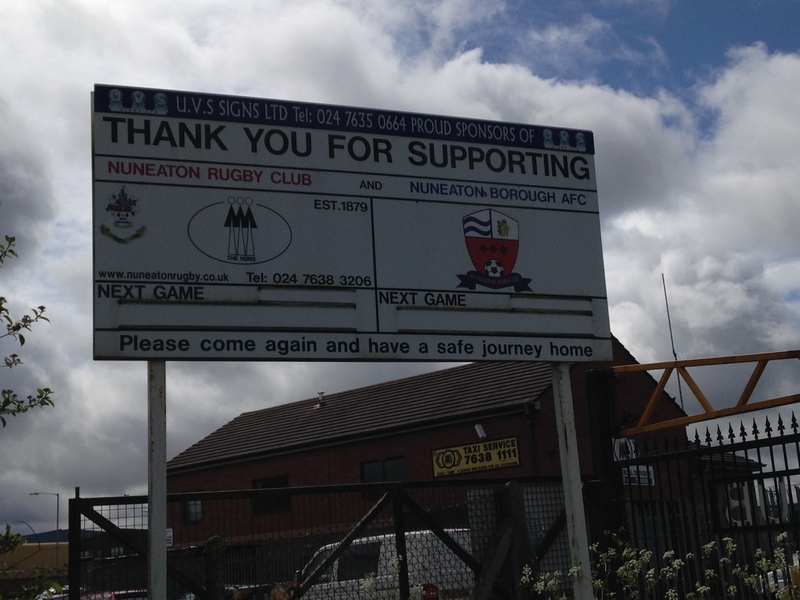 Posted on June 12, 2015, in Dave Burin Interviews and tagged Kevin Wilson, Nuneaton Town. Bookmark the permalink. Leave a comment.